I want three things from a movie. #1 Great characters with personality. I want believable characters whose personality accelerates with the tempo of the storytelling. #2 Story. It doesn’t have to be an epic tale, just a great story with a beginning, middle and end. #3 Dialogue. The dialogue has to engage me. If that doesn’t happen the movie is a bore. No amount of action, especially computer generated action will make me love it. In fact, it will make me like it less, even dislike it. Personality, story and great dialogue. That’s what I want. The script could be laughed at. It’s simple lines said simply but I don’t care. The simplicity is easy to digest and it’s wildly entertaining. Rocky II is raw, emotional filmmaking. Sly weaved the consummate underdog story. 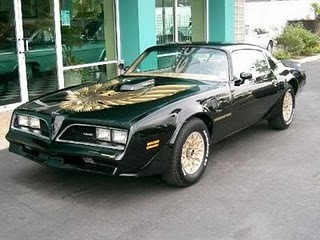 Yes, I want a black and gold Trans Am like Rocky’s. Thanks for asking. At the press conference with Apollo Creed. I’ll be the first to admit that this movie is not for everyone. It’s unusual and quirky. But it’s quirk quirks right in my direction. Everything from the characters, the script, characters, filmmaking, and the story are great fun. Bill Murray always, no matter what, delivers a complex and captivating character and this one is just pitch perfect. To add an exotic spice to the film there are David Bowie songs sung in Portuguese by Seu Jorge sprinkled through the movie. They’re totally unexpected. Link here. The film is loaded with more interesting one-liners and crazy scenes than you can shake a stick at. Here’s a link to a page loaded with great lines. If the above reasons aren’t enough to pique your interest it’s also got one of the most interesting scenes ever created. Check it out here. A scientist asks Steve’s plan to kill the shark that ate his friend. Next Have You Seen This Cat?